An E. coli O157:H7 outbreak in Vermont has been announced in a recall notice on the USDA’s website today. Two people were sickened after eating cooked beef burgers at an event at Bread & Butter Farm located in Shelburne, Vermont. FSIS was notified about this outbreak on September 30, 2017. Traceback information indicates that both patients ate ground beef products at that farm during an event that was supplied by Vermont Livestock Slaughter & Processing in Ferrisburg, Vermont. Illness onset dates ranged from September 18, 2017 to September 23, 2017. FSIS is working with the Centers for Disease Control and Prevention (CDC) and the Vermont Department of Health to investigate this outbreak and will release more information as it becomes available. Vermont Livestock recalled 133 pounds of their ground beef products after this outbreak was discovered. 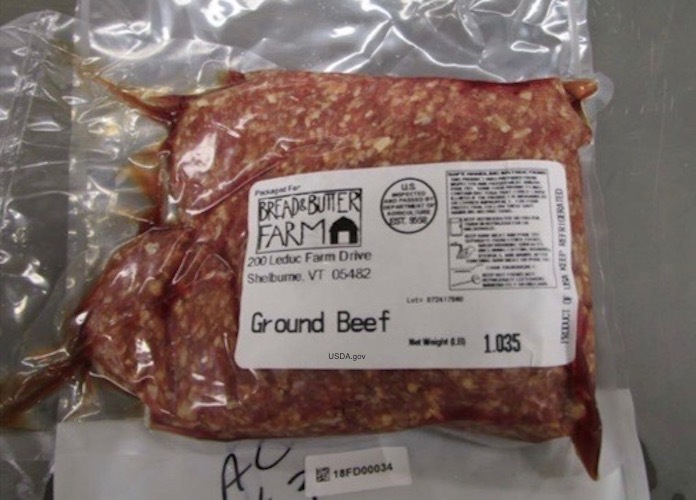 The recalled product is 1 pound vacuum sealed packages containing Bread & Butter Farm Ground Beef with lot codes #072517BNB and #072417BNB. The beef was produced on July 24 and 25, 2017. The ground beef has the establishment number “EST. 9558” inside the USDA mark of inspection. These items were sold at the Bread & Butter Farm in Vermont. There is no information on the status of the patients, their age, or whether they were hospitalized or developed hemolytic uremic syndrome (HUS). HUS is a serious complication that can occur after Shiga toxin-producing E. coli (STEC) infections that can destroy the kidneys. If you purchased this product, do not eat it, even if you plan to cook the ground beef thoroughly. Juices from the product can contaminate surfaces in your kitchen, utensils, and other foods. Throw it away in a sealed container or return it to the place of purchase for a full refund. Wash your hands well with soap and water after handling this product. Attorney Fred Pritzker said, “The long term consequences of an E. coli O157:H7 infection can be serious.” Contact him at 1-888-377-8900. If you ate at an event in September at Bread & Butter Farm, and have experienced the symptoms of an E. coli infection, see your doctor. Those symptoms include dehydration, severe and painful abdominal cramps, a mild fever, and diarrhea that is often bloody and/or watery. These symptoms usually begin 2 to 8 days after exposure to the pathogenic bacteria. Ground beef is a risky food and should always be cooked to well done (160°F). Any bacteria on the surface of the intact cut used to make this product will be mixed all through it when the meat is ground. Then, when someone makes burgers using that ground beef and doesn’t cook the interior thoroughly, bacteria will survive that can make you very sick. Children under the age of 5 are most likely to suffer serious complications, including HUS, after an E. coli infection. The symptoms of HUS include little or no urine output, easy bruising, lethargy, pallor, and bleeding from the nose or mouth. If anyone is experiencing those symptoms, they should be taken to a doctor immediately. If you or a loved one have been sickened with an E. coli O157:H7 infection or HUS after eating burgers at Bread & Butter Farm in Vermont or that were made from ground beef from Vermont Livestock Slaughter and Processing, contact the lawyers from our experienced legal team for help at 1-888-377-8900. Pritzker Hageman, America’s food safety law firm, successfully represents people harmed by adulterated food products in outbreaks throughout the United States. Its lawyers have won hundreds of millions of dollars for survivors of foodborne illness, including the largest verdict in American history for a person harmed by E. coli O157:H7 and hemolytic uremic syndrome. The firm also publishes Food Poisoning Bulletin, a respected source for food safety news and information. Pritzker Hageman lawyers are regularly interviewed by major news outlets including the New York Times, CNN, and the Wall Street Journal. 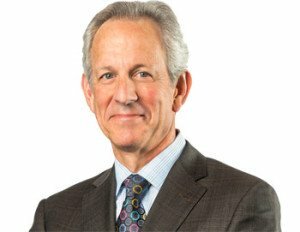 The firm also represents people harmed by pathogenic microorganisms in Legionnaires‘ disease, surgical site infection and product liability cases.